Hillary Clinton had a bad week. A scathing report from the State Department's inspector general on Clinton's use of a private email server for government business would have ignited more of a media firestorm than it did had Donald Trump not done what he does best: sucked up all the oxygen with his outrageous behavior. For those Republicans who do not understand why some of us refuse to fall in line and back the presumptive nominee, this week offered a primer. It is not just that Trump is ignorant about both foreign and domestic policy or that he often makes crude, bigoted and sexist comments. It isn't just that we disagree with him about this or that specific proposal, from the wall he'd build on our southern border (which Mexico would pay for!) to the tariffs he'd slap on foreign-made goods. It isn't even about his narcissistic personality, volatility and inconsistency. What troubles me most — and makes it impossible for me to vote for Trump — is his fundamental and dangerous disregard for the Constitution of the United States, especially the separation of powers outlined among the executive, legislative and judicial branches. Trump isn't the first to tread on separation of powers. If there is one lasting legacy of Barack Obama's eight years in office, it will be the erosion of the separation of powers between two of the three branches of government. Obama has ignored Congress when it suited him, taken executive action to give legal status to undocumented immigrants and ignored drug laws, and he even rewrote his signature legislative accomplishment, the Affordable Care Act, after he signed it. But even Obama has stopped short of attempting to usurp the judiciary. Yes, Obama unwisely lectured the Supreme Court justices for their ruling in Citizens United, which upheld the First Amendment right of corporations and unions to spend unlimited amounts from their general treasury funds on independent political speech. But Obama's intemperate remarks pale in comparison with Trump's attack on a sitting federal judge presiding over a fraud suit in which Trump is a defendant. But this week, Trump launched a vendetta to try to intimidate Curiel. He described the judge as a "hater of Donald Trump," with no evidence, as is Trump's wont. He called the Indiana-born judge his favorite epithet, "Mexican." And then he did something quite frightening. He said: "They ought to look into Judge Curiel, because what Judge Curiel is doing is a total disgrace, OK? But we'll come back in November. Wouldn't that be wild if I'm president and I come back to do a civil case? Where everybody likes it. OK. This is called life, folks." Never mind Trump's usual inarticulateness; this is a threat. Curiel has stood up to bullying before. A Mexican cartel reportedly targeted Curiel for assassination because the then-assistant U.S. attorney for the Southern District of California prosecuted drug traffickers along the Mexican border. But even a Mexican cartel is no match for a future president of the United States in seeking revenge. There is a reason our Founding Fathers established lifetime tenure for federal judges in the Constitution. Only with a truly independent judiciary, one not subject to the taunts and threats of whoever occupies the presidency, can the important balance among the branches of government be maintained. But Trump seems not to understand this, any more than he understands that he cannot as commander in chief give an unlawful order to torture prisoners or kill family members of terrorists as an act of revenge. Nor can he ignore the First Amendment protections of a free press by threatening to change libel laws so that he can punish anyone who criticizes him or impose a religious test on people who want to come here. Our system allows voters to elect as president anyone they choose, within quite limited parameters. The person must be a natural-born citizen who has attained 35 years of age and resided in the U.S. for at least 14 years. And Donald Trump may well become the next president. But if he does, I believe he will pose a grave threat to our constitutional republic. It is bad enough that a man of Trump's low character may occupy the Oval Office. It is worse that if he does, voters will have put him there. Linda Chavez is the author of "An Unlikely Conservative: The Transformation of an Ex-Liberal." 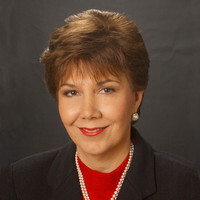 To find out more about Linda Chavez, visit the Creators Syndicate Web page at www.creators.com.